Whether you’re a weekend warrior or beginner do-it-yourselfer looking to save on the cost of hiring a professional, using power and hand tools to do small (and large) jobs around the house is something the majority of Americans have done and will continue to do. Power tools make lighter work of difficult jobs and are essential to those in the skilled trades. It’s important to keep in mind that many tools can be quite dangerous when used incorrectly or without the right amount of knowledge or skill. Even with proper training, even the most expert tradesmen can still have an accident. Possible injuries that can be caused by tools include cuts, crush injuries, bruises, pinches, electrical injuries including electrocution and fires, and even death in extreme cases. The Consumer Product Safety Commission’s (CPSC) National Electronic Injury Surveillance System (NEISS) estimates that there were more than 12,000 reported cases of injuries to children under the age of 18 caused by power tools such as sanders, joiners, drills, etc. that were treated in hospital in the United States in 2013. The number of actual injuries caused by power tools is bound to be quite higher than this, as the data from the CPSC only looked at those injuries which resulted in medical treatment at a participating hospital, and minor injuries were likely treated at home or another medical treatment facility not included in the reporting data. 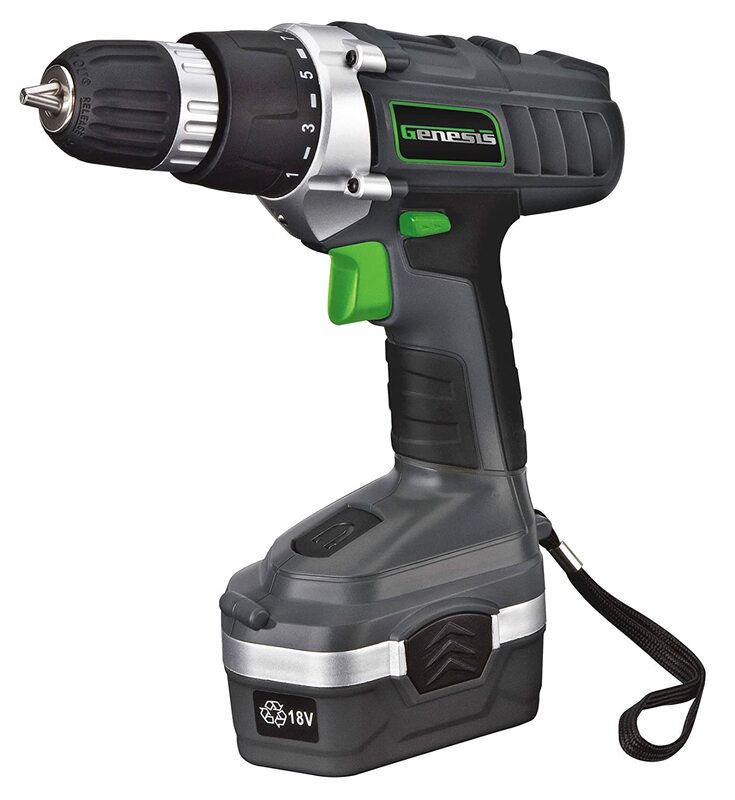 In fact, it’s estimated that up to 400,000 injuries or hospitalizations occur every year as a result of power tools. For the most part, safety standards for tools have been created by a mix of consumer groups, government agencies, producers, retailers, and suppliers and they’re completely voluntary on the part of manufacturers. Look for a sticker on your item that tells you it’s been approved by CSA, NSC, ANSI, IEC, UL, CPSC or some other such safety association. Be cautious of purchasing products that are made in China, as regulatory standards are much different there than in the United States. Look for safety features such as automatic lockout, enclosed or covered blades, and/or a dust collection kit. Another key safety feature to look for in a power tool is whether or not it is double insulated, which will help protect the user from the risk of electrical shock. If your tool came with a warranty or registration card, be sure to complete the form and mail it in to the manufacturer. This way, you’ll be notified of any recalls or other safety information in the event of a problem with your model. Surveys done by Consumer Reports National Research Center show that most people seldom or never take this essential safety step. Do not operate tools when over tired or if you’re under the influence of drugs or alcohol as the risk of injury will increase. Tie back any long hair and remove loose clothing or jewelry. If a tool calls for specific safety equipment, such as glasses or a hard hat to be worn when operating, do so. If you’re going to be using a loud tool for an extended period of time, consider using earplugs or noise muffling headphones in order t-o protect your hearing. You might also need a dust mask, depending on the tool you’re using. Ensure the power is turned off to any tool before plugging it in or installing a battery pack. Be aware of any safety symbols or warning icons on your tool and follow the recommendations for safe operation. Only use a tool for its intended job. When using a saw, ensure you do not use your hands to push material through to the blade, but rather use another piece of ‘junk’ wood to push an item through. If necessary, use clamps to hold material in place. Always wait for all moving components of a power tool to stop before removing clamps or changing any parts. Keep all tools out of reach of children, and do not operate near wet or otherwise dangerous surfaces. A safe work area is essential. If using an extension cord, ensure it is out of the way and not a trip hazard. Outdoor use of power tools calls for an outdoor-rated cord. And, don’t forget that 3-pronged (grounded) tools must be plugged into the proper outlet – never under any circumstances should you remove the third prong or modify a plug in any way. Unplug your power tools before cleaning in order to prevent any nasty surprises. Take them to a professional if you are nervous or unsure about cleaning them yourself. Maintaining your tools properly can help prolong their life and keep them safe for many years to come. Take extra care when cleaning or changing out the blades of cutting tools such as saws. They will be especially sharp and can easily cut you. Always read and follow the manufacturer’s instructions for use and cleaning of your tools, and don’t hesitate to contact them if you should have a question about something specific that isn’t covered in your user manual. In all cases of injury or accident, stop using the tool immediately and when possible, disable the power source. 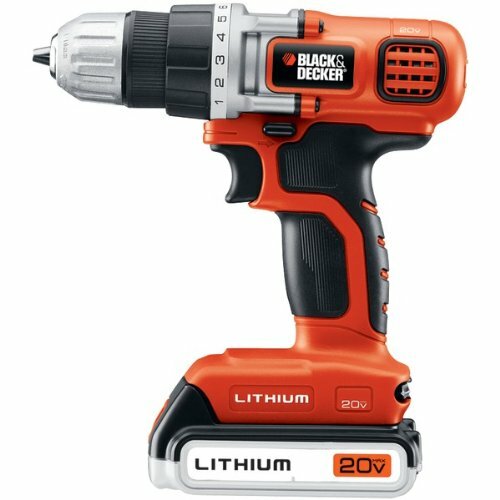 With the above tips in mind, in no particular order, here are 25 of the power tools we consider to be the safest, based on available features and average customer reviews and ratings. 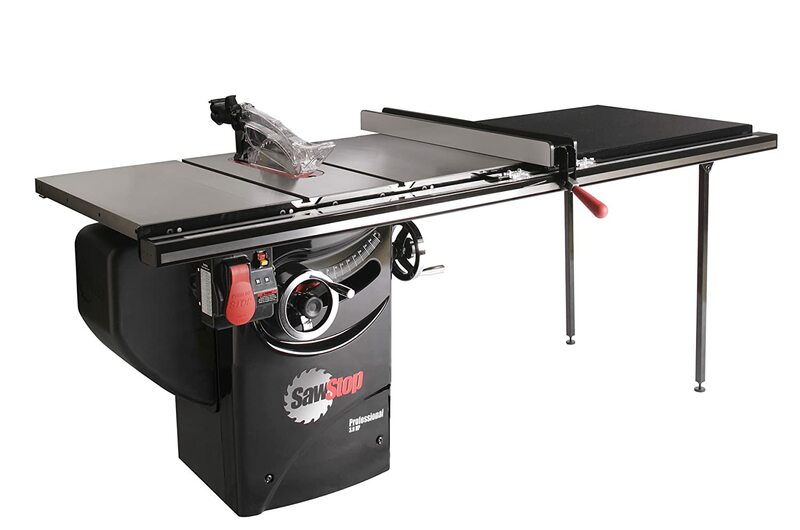 This complete home cutting solution is a great choice for those new to DIY wood cutting as it features a number of top-of-the-line safety features, as well as a large work surface. SawStop saws are considered to be some of the safest on the market. 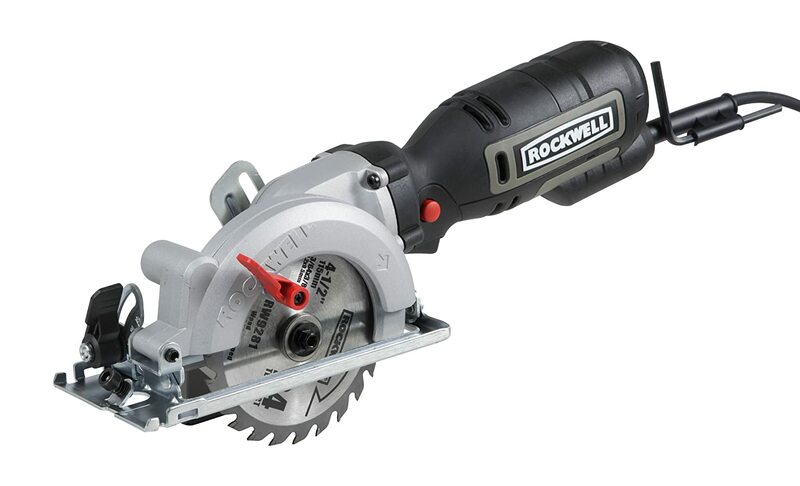 Ideal for a number of home use applications, this jig saw is able to cut both straight and curved lines on multiple materials including metal, wood and plastic. Plus, thanks to its Smart Select technology, you can adjust settings in a matter of seconds. This contractor saw is tough enough to stand up to the demands of a professional construction job site and also safe enough and easy to use for the weekend warrior looking to tackle jobs around the house. 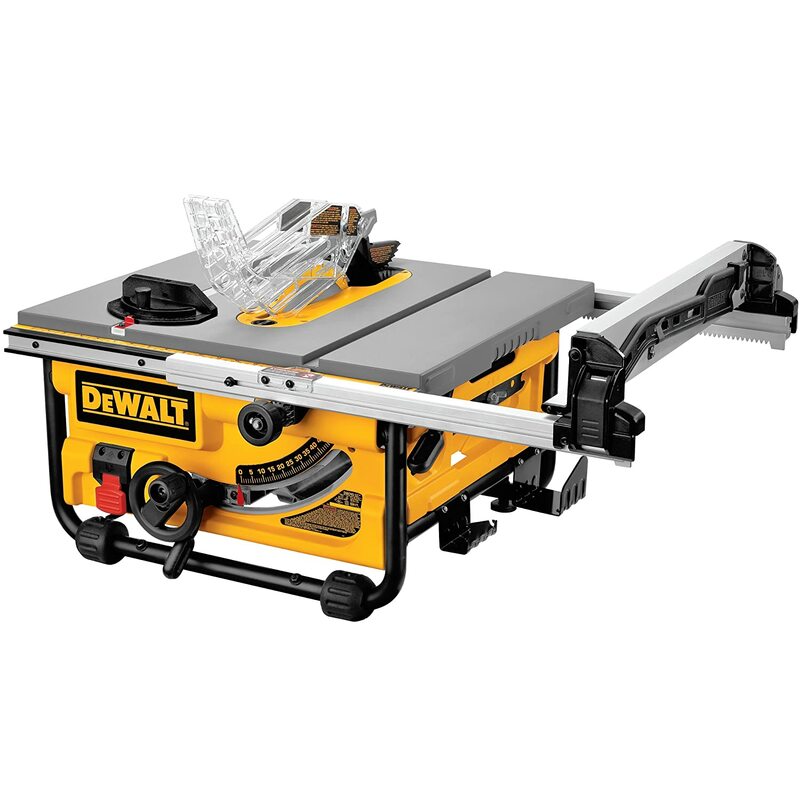 With a large table that’s perfect for supporting a wide variety of materials and a powerful, 15-amp motor, this compound miter saw can handle even the toughest job you throw at it. Thanks to flexible miter angles, you can make the precision cuts you need with ease. With unmatched attention to detail, this professional grade cabinet saw features the brand’s T-Glide fence system for increased precision cuts and smoother operation, making it an ideal choice for DIY-ers. 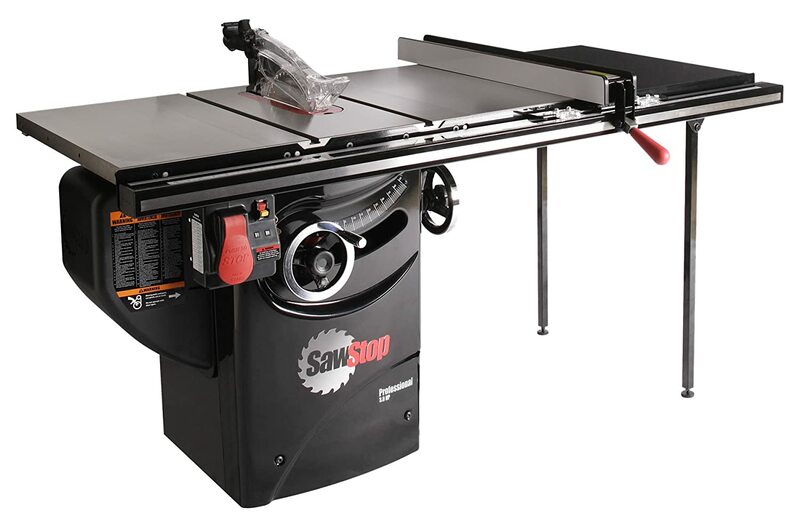 This compact table saw is ideal for both job sites and at-home construction work as well. Plus, thanks to its metal roll cage base, it boasts a more durable construction for longer life with less maintenance. This professional grade cabinet saw boasts 3 horsepowers of power to handle even the toughest of jobs. 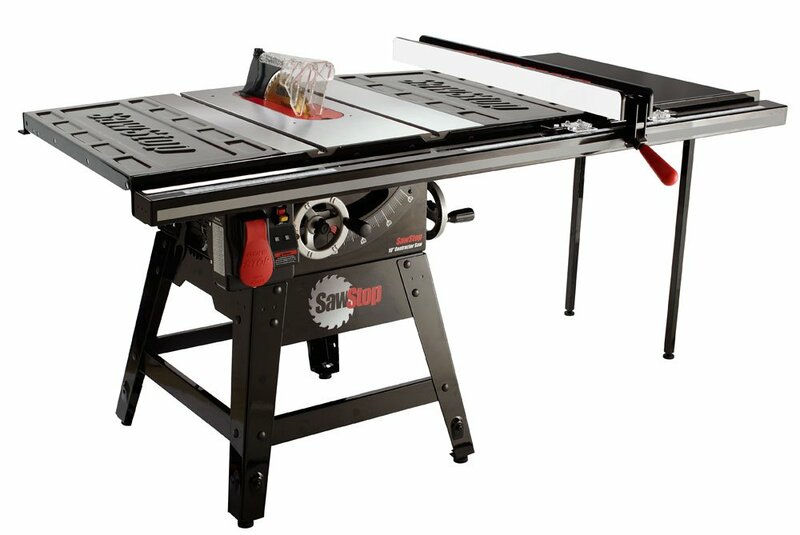 Ideal for professionals and avid hobbyists, this unit comes with rails and an extension table to handle nearly any task you can throw at it. 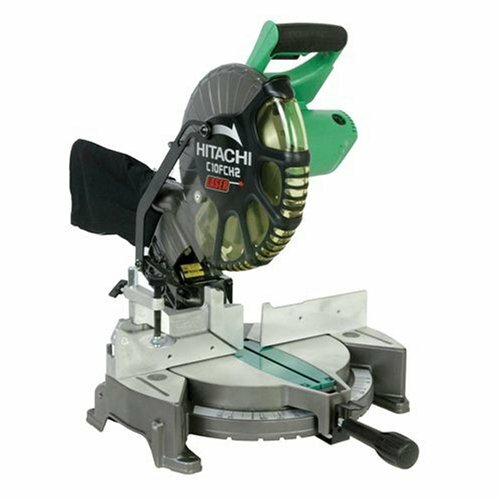 This lightweight compact circular saw kit is ideal for tackling jobs in those hard-to-reach places without sacrificing on performance. Quickly and easily adjust cutting depth up to 2 inches with a quick adjust lever. 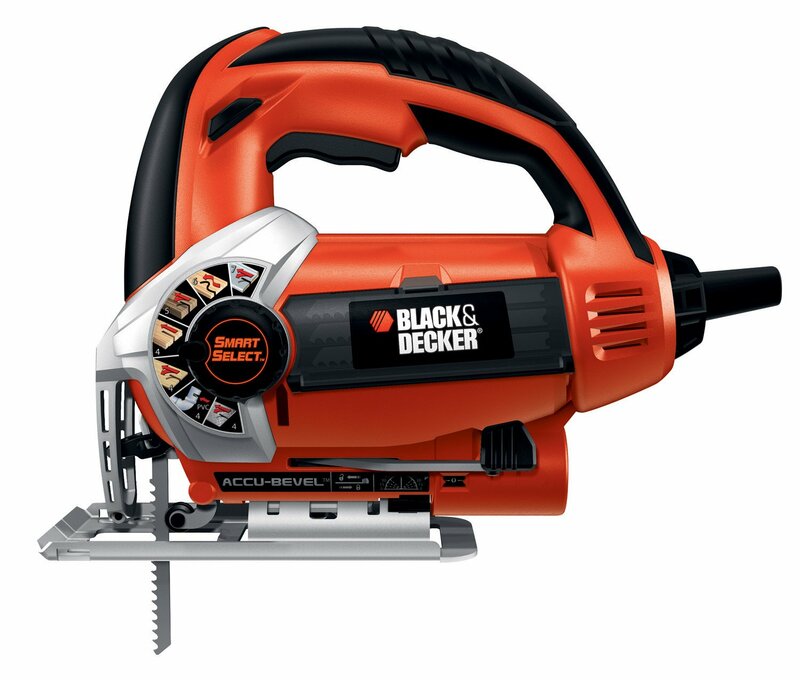 Boasting 1.75 horsepower, this professional grade contractor saw is ideal for small spaces such as home workshops and garages but packs enough power to handle even the most demanding job. Thanks to more than 100 configurations, you can customize this model to fit any job you need done. 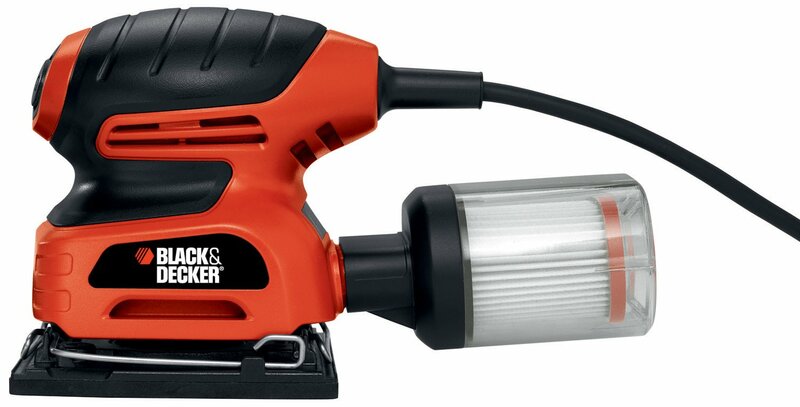 Thanks to its compact size and its lightweight design, this cordless drill and driver can fit into even the tightest of places, making it an ideal choice for the weekend warrior looking to tackle some chores around the house. 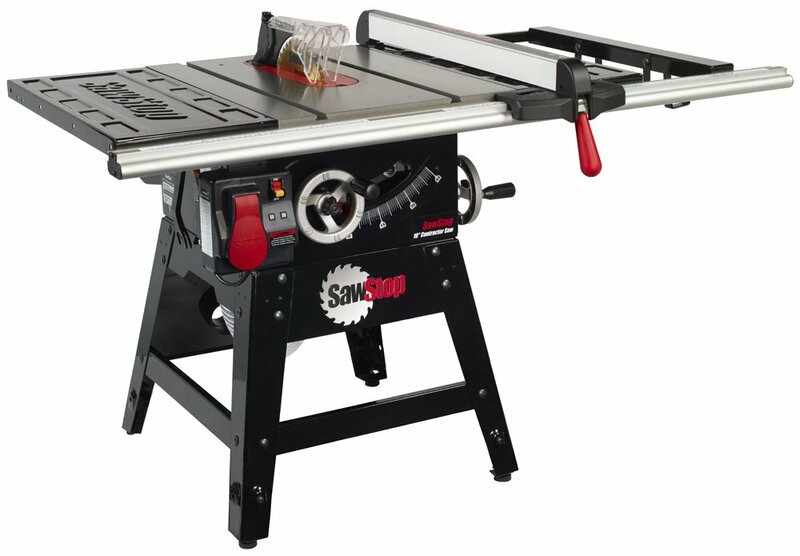 This is the ultimate all-in-one set for any at-home handyman looking to build their tool collection. 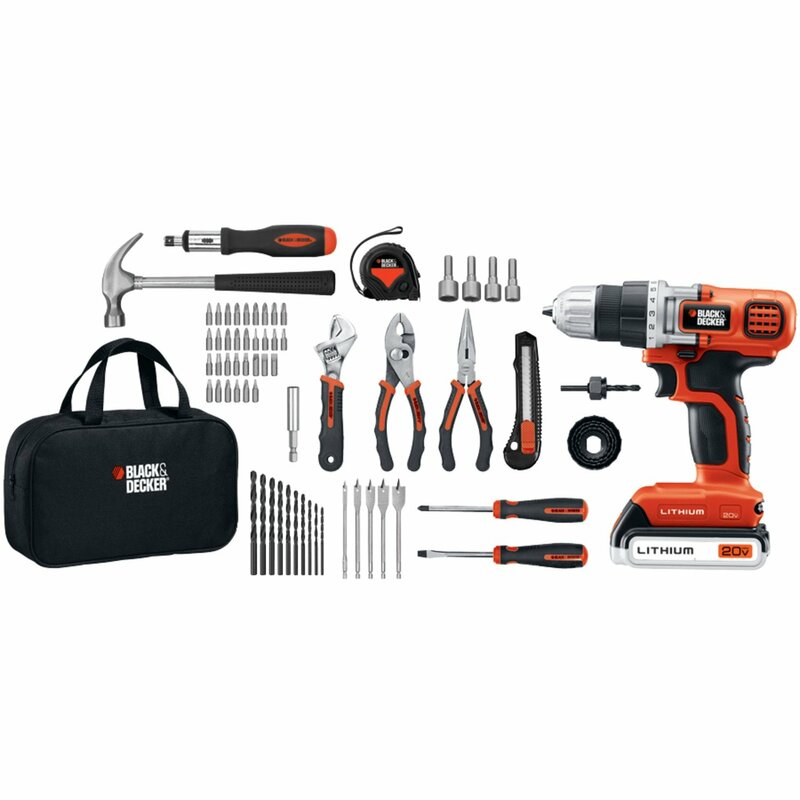 With 66 hand tools and accessories included – not to mention the powerful cordless drill and driver – this kit contains everything necessary for the weekend warrior to tackle a variety of home maintenance tasks. 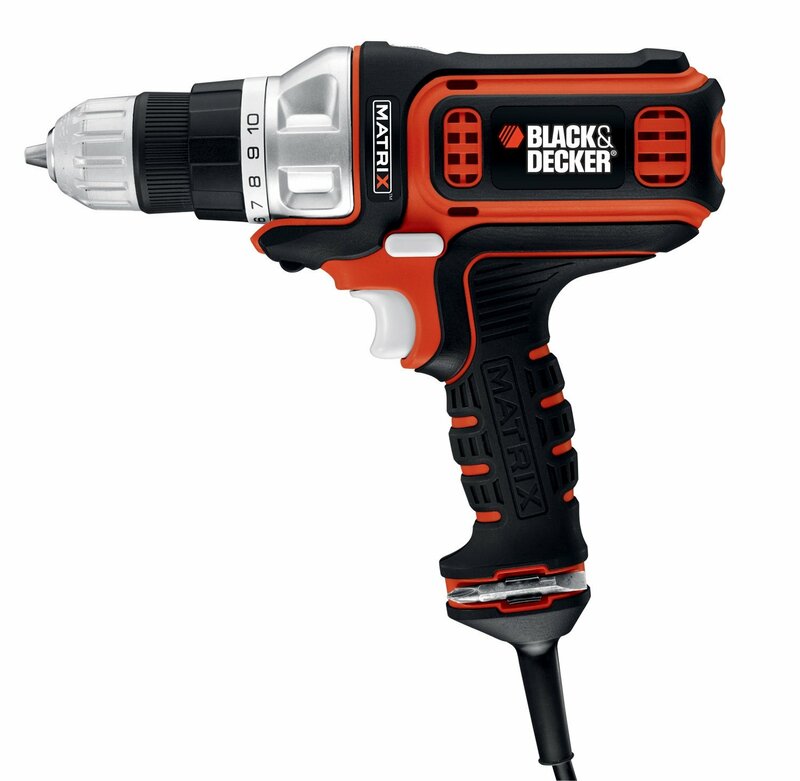 Now you can tackle jobs in the tightest of areas with ease thanks to the compact and lightweight design of this cordless drill and driver. With two speeds to choose from and an included carry case, it’s up for any job you need it for. 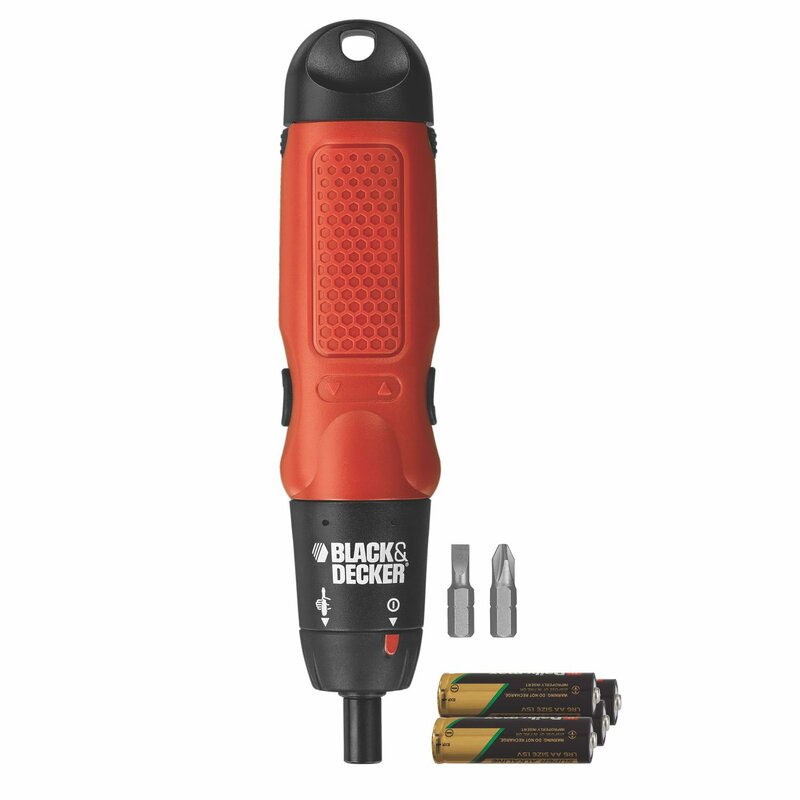 With an affordable price tag, this corded drill and driver boasts a quick connect system that allows for speedy tool-free bit and attachment changes to help you tackle even more jobs in less time. 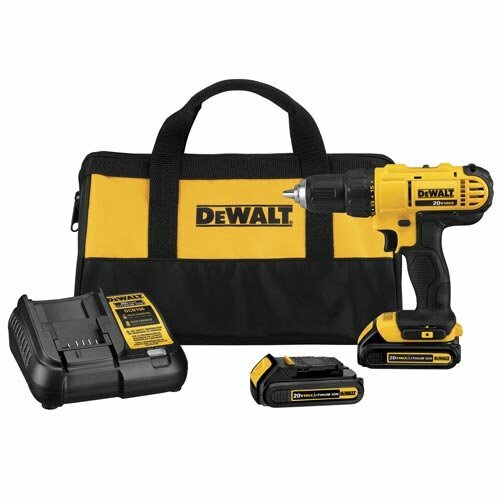 This cordless drill and driver system comes complete with a wide variety of bits and tips to help you tackle a variety of jobs and a handy carry case that makes it conveniently portable as well. Choose from various speeds in order to get the job done. A wire stripping hand tool is a must for any DIY electrical work you want to tackle around the house. 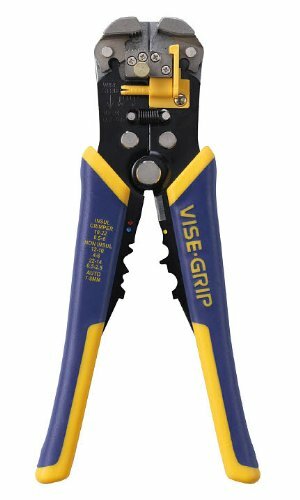 Install lights, fans and more with ease thanks to this handy, lightweight wire stripper. 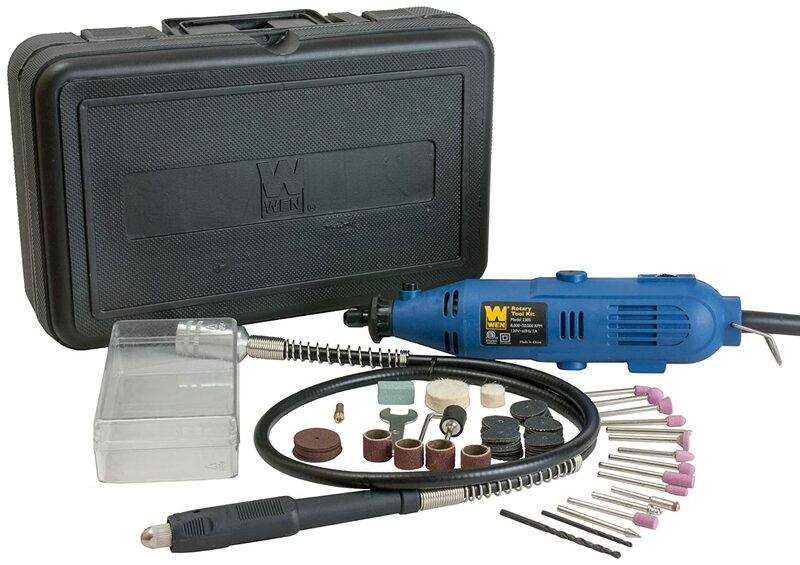 This powerful rotary tool kit boasts speeds from 8,000 to 30,000 RPMs and can handle home reno tasks such as cutting, sanding, polishing, drilling, burr removal and more. Thanks to a flexible shaft, it can also handle precision detailed tasks. 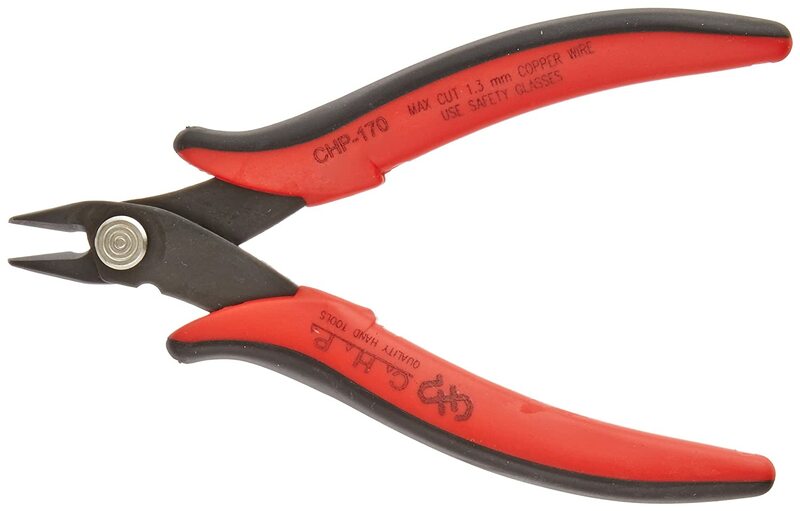 This heavy duty wire cutter is ideal for tackling any number of jobs around your home and can easily cut through copper and other soft wires up to 18 gauge in thickness. 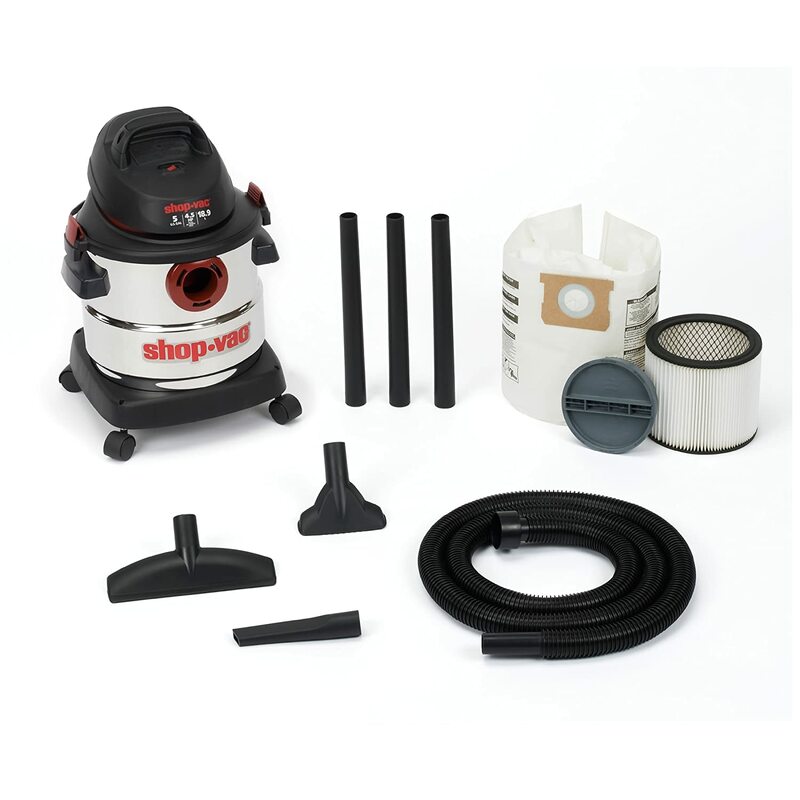 This heavy duty shop vac is able to clean up both wet and dry messes, making it an ideal solution for cleaning up DIY jobs. Thanks to its stainless steel tank, it’s built to last and can handle even the toughest of messes with ease. 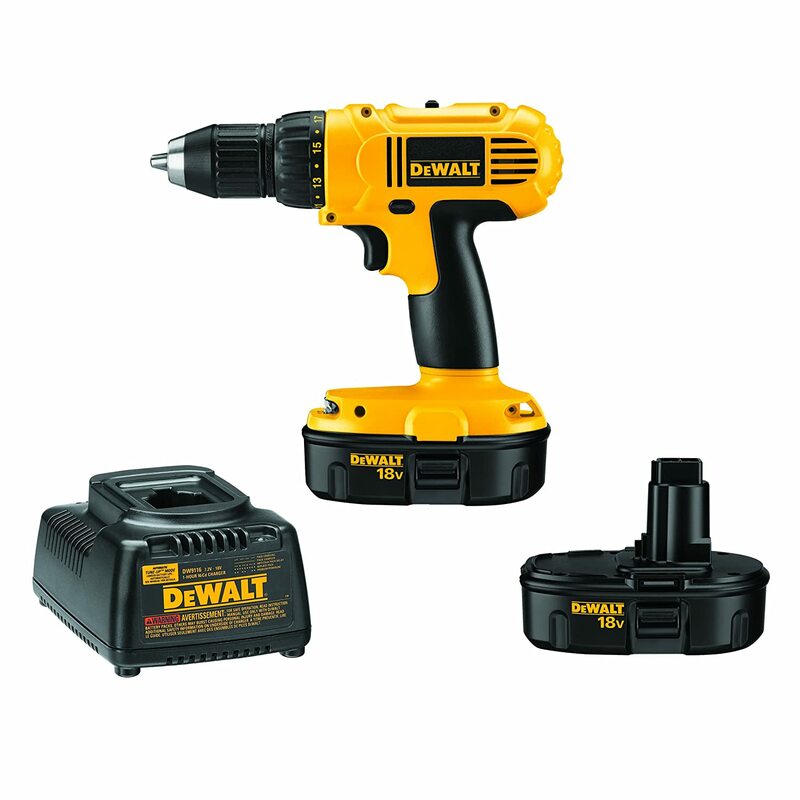 This cordless screwdriver is ideal for a number of home applications and can easily be switched from power to manual mode and back again, for precision control when necessary. Adjust from forward to reverse with the flick of a switch. 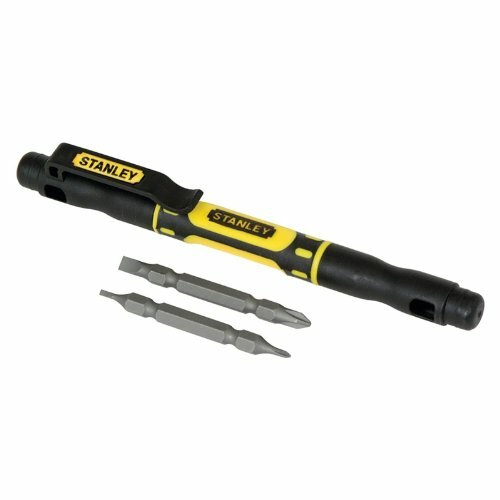 This 4-in-1 pocket screwdriver is a must-have for any home DIY-er and comes at a price that can’t be beat. It allows users to work on precision tasks such as changing batteries and installing electronics but with pocket-sized convenience. This easily portable inflation unit can inflate a number of home items including lawnmower, bike, and vehicle tires, as well as sports balls and other items with ease. Plus, thanks to its space-saving design, it won’t take up valuable storage space in your garage or shed. 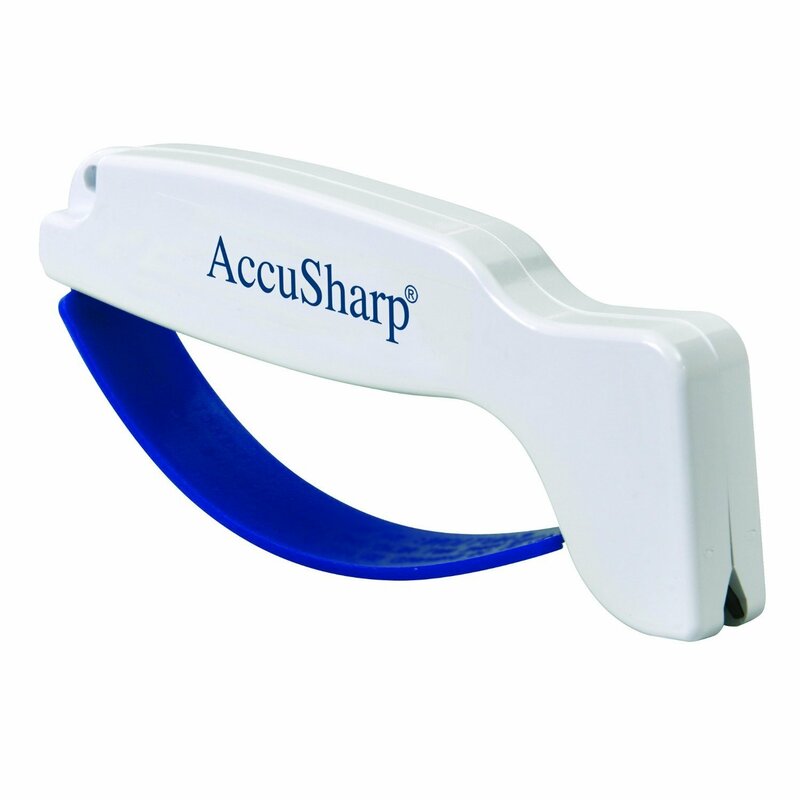 Keep all the blades around your home at their sharpest quickly and easily with this handy little knife sharpening tool. In just seconds you can give new life to your knives, scissors and even utility knives. 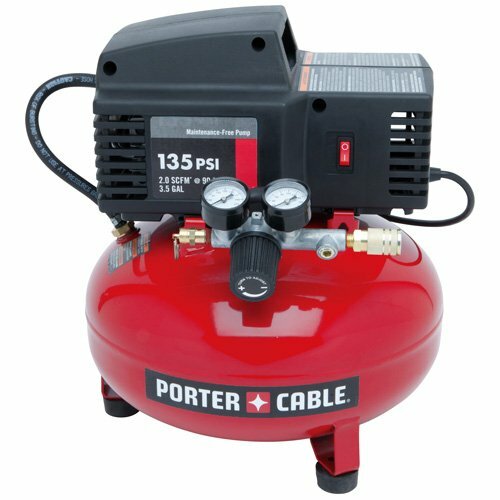 Weighing in at just 26 pounds, this compressor is a portable solution that’s ideal for tackling a number of household jobs with ease including air-powered nail guns for roofing jobs and insulation blowing for topping up attic insulation. 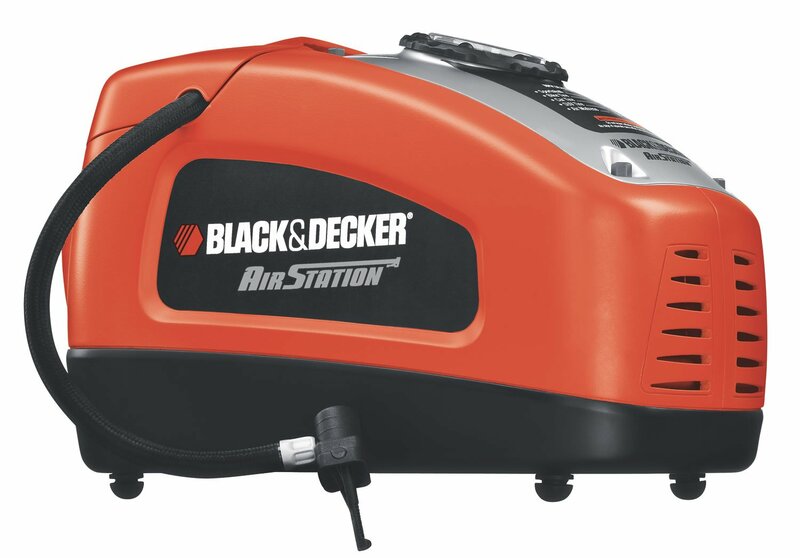 Thanks to its compact design, this power sheet sander can reach into even the tightest of spaces without compromising on performance and features a built-in dust collection system to help keep your workspace and lungs clean.